Putting it Together, a musical revue showcasing the songs of Stephen Sondheim, takes its title from a song in Sunday in the Park with George. Devised by Sondheim and Julia McKenzie, the revue was first performed in Oxford, UK in January 1992. John performed the role of Younger Man in both the Los Angeles production at the Mark Taper Forum and on Broadway at the Ethel Barrymore Theatre, earning the Backstage West Garland Award for his performance. The LA cast featured Carol Burnett, Bronson Pinchot, Susan Eagan and John McCook. The Broadway cast once again featured Ms Burnett and Pinchot but Ruthie Henshall and George Hearn replaced Egan and McCook. 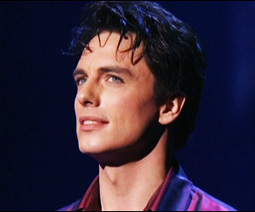 Between the LA and NYC runs of Putting It Together, John starred as The Beast in Disney's Beauty and the Beast in London's West End.